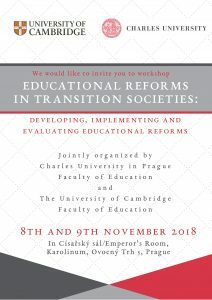 The Institute for Research and Development of Education is an institute at the Faculty of Education, Charles University, focusing on research, development and educational activities within educational sciences. It follows on from the tradition of the research institute which was established at the Faculty of Education in 1990 and which employed leading Czech and international experts, such as Jiří Kotásek, Jan Průcha, Ladislav Čerych, Josef Mestenhauser and others. In the 1990s, the Institute made a considerable contribution to the project of educational transformation, to the formation of the national education policy’s strategies, and to the preparations for joining the common European educational space. It was the expert and editorial centre for the creation of the Green Paper and the White Paper of Czech education (1998–2000). 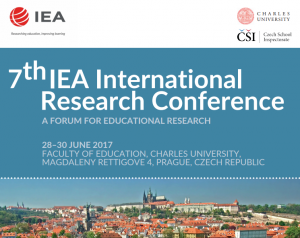 The Institute initiated the establishment of the Czech Education Research Association (1993) and participated in the organization of the 8th WCCES Congress (1992), which started international cooperation and the development of comparative education in the Czech Republic. The Institute took on its current name in 1998. It is strengthening its focus on comparative, quantitative and qualitative empirical research, developing its methodology and participating in international networks and projects. It cooperates closely with the Czech Ministry of Education, as well as with government bodies and non-profit organizations to improve school education, teacher professionalization and the introduction of innovations into educational practice. 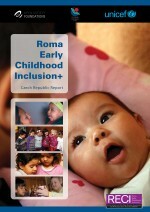 the European Social Fund in the Czech Republic. Matej Bell University, Banská Bystrica, Slovakia. The IRDE mainly carries out its scientific activity as part of research projects acquired in both domestic and international grant competitions, and in multidisciplinary collaboration with centres in the Czech Republic and abroad. The IRDE carries out empirical research into school education using both quantitative and qualitative research methods and suitable combinations thereof, and with an emphasis on longitudinal and panel studies. In 2007 the IRDE established and continues to edit in cooperation with Masaryk University in Brno, Faculty of Education, an international peer-reviewed open access journal Orbis scholae, publishing issues in English and Czech. 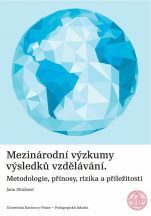 The journal is indexed in various international databases, including the Scopus (http://www.orbisscholae.cz/). The core of the IRDE staff’s educational activity is in the PhD study of the field of education, both in supervising PhD students and in teaching courses for PhD students with an emphasis on education research methodology, comparative education and sociology of education. As part of bachelor’s and master’s degree programmes, the Institute staff participate in teaching the fields of education, psychology and school management, offering a range of optional courses, including courses in English, attended also by foreign students as part of Erasmus+ students’ exchange programmes.